In these pages, the Collected Works of Joseph Campbell presents twelve eclectic, far-ranging, and brilliant essays gathered together for the first time. The essays explore myth in all its dimensions: its history; its influence on art, literature, and culture; and its role in everyday life. This second volume of Campbell's essays (followingThe Flight of the Wild Gander) brings together his uncollected writings from 1959 to 1987. 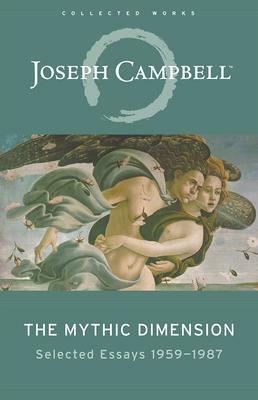 Written at the height of Campbell's career - and showcasing the lively intelligence that made him the twentieth century's premier writer on mythology - these essays investigate the profound links between myth, the individual, and societies ancient and contemporary. Covering diverse terrain ranging from psychology to the occult, from Thomas Mann to the Grateful Dead, from Goddess spirituality to Freud and Jung, these playful and erudite writings reveal the threads of myth woven deeply into the fabric of our culture and our lives. Joseph Campbell is widely credited with bringing mythology to a mass audience. His works, includingThe Hero with a Thousand Faces, the four-volumeThe Masks of God, andThe Power of Myth (with Bill Moyers), rank among the classics in mythology and literature.